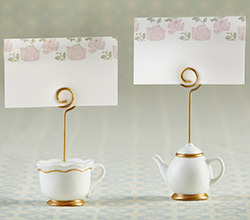 Kate Aspen’s Tea Time Whimsy Place Card Holders, available in sets of 6, add a delightful touch to your tea party table decor. 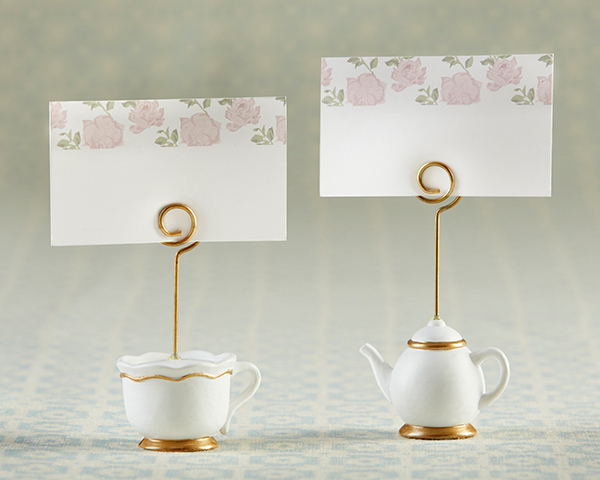 Each set of place card holders comes with 3 teapot and 3 teacup shaped bases—all crafted with sturdy resin—to keep the matching floral place cards upright for all to see. White teapot- and teacup-shaped place card holders with gold foil details. 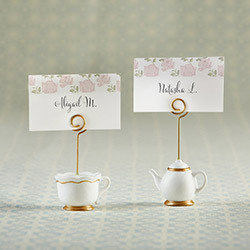 Included place cards feature a pink floral design on a white background.